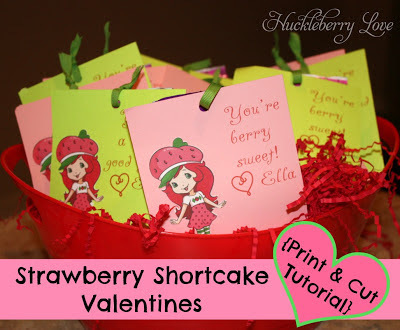 Last week I posted about my son's Ring Bling Valentines and this week, I wanted to share these super cute Strawberry Shortcake Valentines for my Strawberry lovin' daughter. Not only are they super cute valentines, but they could also double as favors for a Strawberry Shortcake themed birthday party. The best part: they were quick and easy! 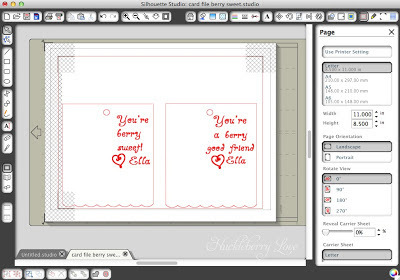 First let me start out with how amazing the print and cut feature is on the Silhouette. I have only played around with it a few times, but this is the first time I've actually imported clipart from google images, traced it in silhouette, printed it, and then cut. Then, with the text deleted & Strawberry sized, I selected the trace tool (the blue framed thingy in the upper right corner). 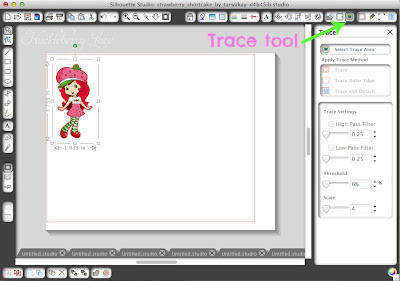 Select trace, and voila! Make sure the program has a good outline (by clicking the cut style icon) and if you're having trouble, check out this more detailed tutorial on tracing an image here. 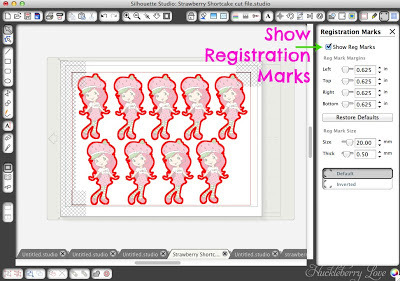 This next step is crucial to the print and cut process...Select "show registration marks" in the registration marks setting window. Then print. 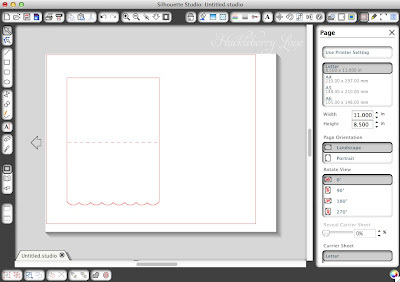 Place the printed cardstock onto the carrier sheet and load into the Silhouette. Once you're to the 'send to silhouette' window, it will ask you to "detect registration marks". Click on this and some funny sounds will come out of the machine ;) The Silhouette uses these registration marks as guides of where exactly to cut. 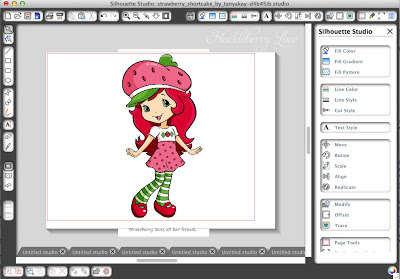 Print and cut a few extra, they make really fun additions to the kid's artwork! 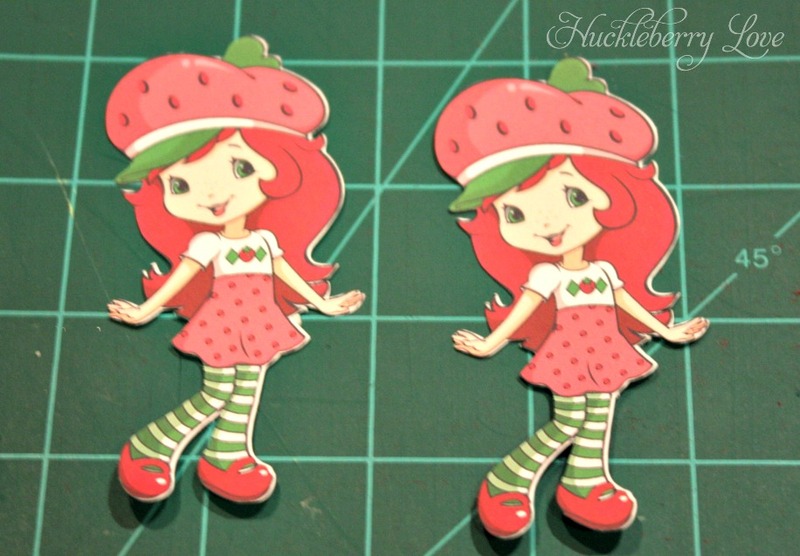 Now that you have a lot of strawberry shortcakes, it's time to make some cards. I chose this scalloped edge card. 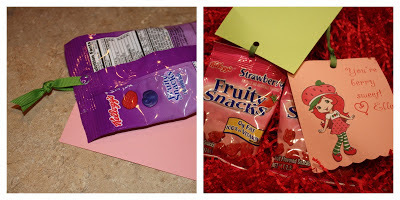 Once I had it sized to fit in front of a fruity snacks bag, I added the hole at the top to attach it with ribbon. 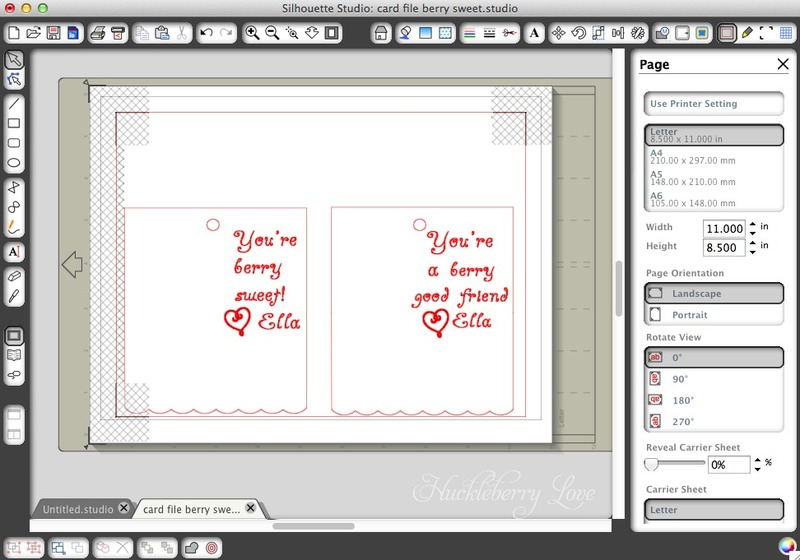 Next, I typed up a couple 'berry sweet' valentine sayings. 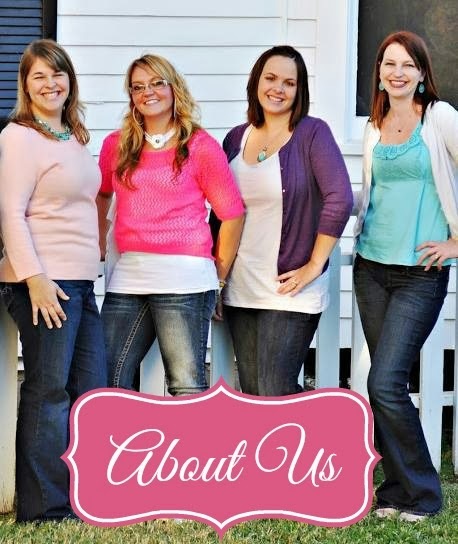 Fill in your text and line with a color that works with your design. Make sure to select 'no cut' for the text. 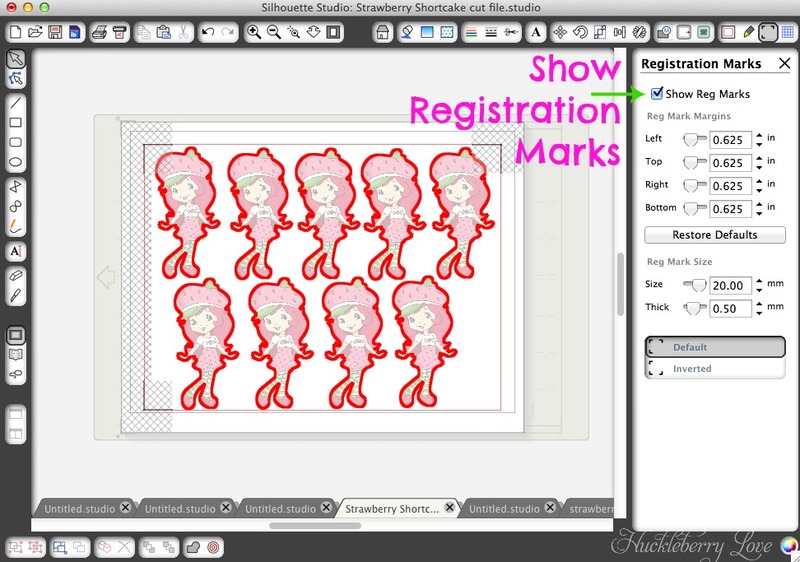 Again, select 'show registration marks' under the registration mark settings, and follow the same print and cut instructions from before. Once your cards are printed and cut, glue on your Strawberry Shortcake and attach through the holes in both the fruity snacks and the card with your ribbon. I just made a quick slip knot. In case you want to use it, here's the card file for personal use only. My daughter absolutely loves these valentines! We also made handmade ones for the grandparents, but these were so fun and sure to be a hit at school. What kind of valentines are you giving out?